This post is way overdue. I was supposed to do it three days ago, but became busy with family and graduation. Well, better late than never! Today I have two more cards using the set Just Fabulous from Clearly Besotted Stamps’ May release. 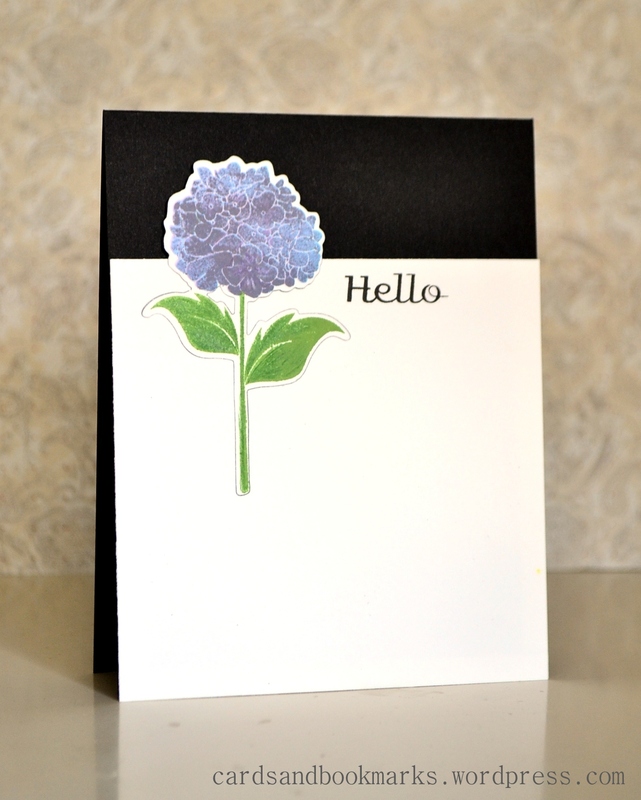 I die cut and stamped the flower and stem. For the flower part, I stamped it in a similar was as I did on the second card in my previous post. First I used light blue (Close to My Hear Sky ink) , then I stamped with a light violet ink (Stampin’Up! Wisteria Wonder). I also did some coloring on the leaves and stem with a Prosma pencil. As you can, I die cut the same flower&stem out of the white panel and inserted the stamped one in it’s place. I applied some tape on the back to put them together. This one has a simple design. I combined the vases with a Memory box branch die cut and a triangle flag from Hero Arts, which I used to stamp the diamonds in the background. Note: Since the beige vase is on the foreground, as it is adhered with foam tape, it meant that the branch had to be raised as well. I used Pinflair glue gel (Thanks Taheerah!) to apply tiny dots of thick glue at various points behind the branch. Seriously, Tasnim, you are a master of great design! I have seen, and used, that memory branch die a million times, but I’m really trying hard to think if I’ve seen it used vertical in a vase like that. Of course, now that you did it, it seems obvious. A whole different use for that die. Would look great as filler in some die cut flowers too. And your first card is elegant simplicity. What a beautiful hydrangea (and captured so well with your two colors). 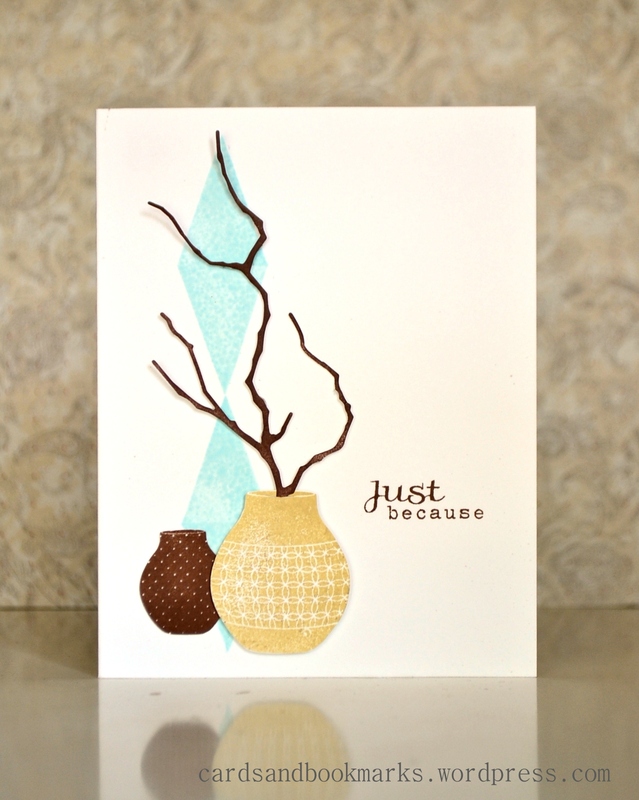 More great cards Tasnim, LoVe how you have added the die cut twig to the vase! Hope you find some ‘extra’ time very soon. Awesomeness Tasnim!! Love the way you re-placed the die cut in the first, but the second one really caught my attention with those awesome vases and the branch sticking out! Great use of the Pinflair – I love it for things like this!! Wow! Both cards are beautiful, but the second is stunning: the colors, arrangement and that branch… wow!